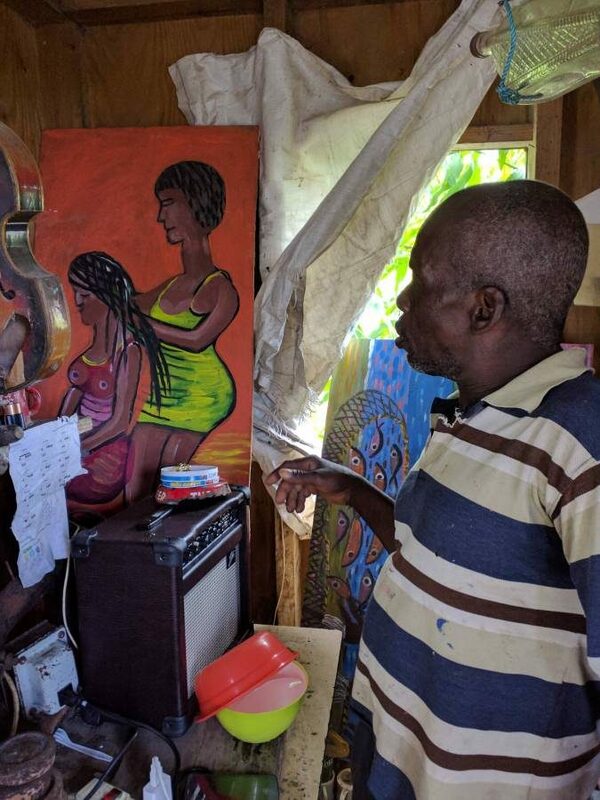 An artist with this many talents should be making hard cash for his paintings, but the reality for struggling artist Doliver (Morain) Noel of Levera, St Patrick proves that not all talented people get recognised or compensated for their creative abilities. Near his home, a huge art display extends out alongside the dirt road that leads to the Levera Beach. Visiting his studio gallery, strategically place outside, one first notices life-size figures made from discarded metal, some playing various instruments. Inside his art gallery, most of Noel’s many unique paintings depict farmers picking cocoa, fishermen pulling nets at the shore, or schools of fish with birds circling. A number of his plyboard paintings showcase abstract painting of women. He also has on display antique items he has collected, including 18th-century bottles, jars, and tools. Born in November 1959, this self-taught artist and antique collector started his artistic journey in 2005. His painting style slowly got recognition, but the artist says there is a huge disparity between the amount of money he receives for his paintings, versus the price they are resold. 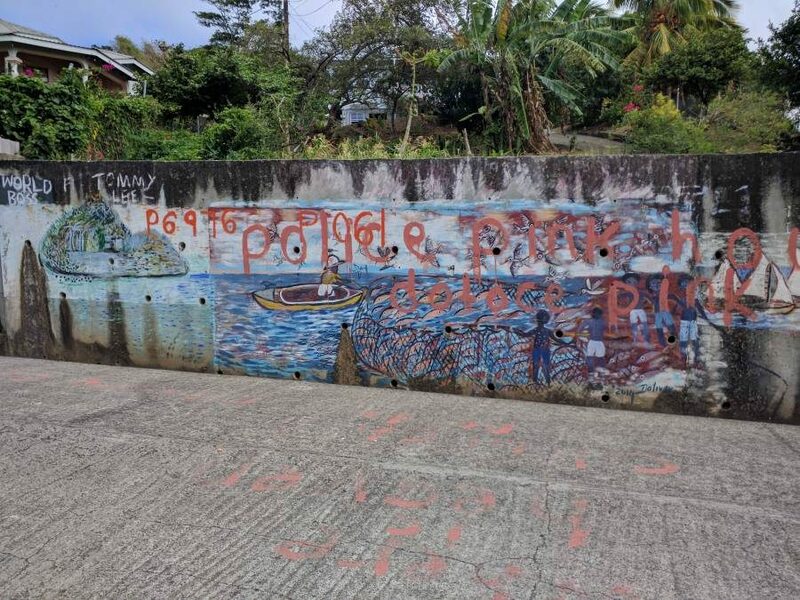 Noel says the economic climate for artists in Grenada looks particularly bleak and hopes that government intervenes to assist struggling artists to find a market for their paintings.